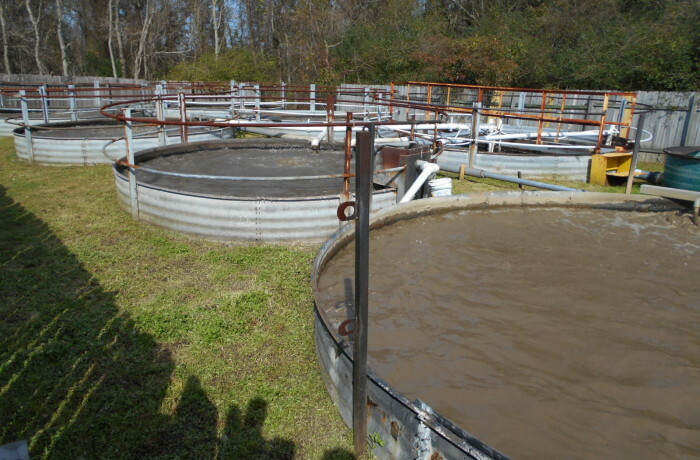 Mill Creek Environmental (MCE) has recently completed a Phase I Environmental Site Assessment (ESA) on a Sewage Treatment Plant (STP) in Louisiana. The Phase I ESA was performed in accordance with the American Society for Testing and Materials (ASTM) Standard Practice E1527-13. The subject property is developed with a metal mechanical extended aeration plant used as a residential STP. The metal STP is composed of influent piping, five (5) aeration chambers, a clarification chamber, and chlorination contact chamber with effluent piping. The STP is surrounded by a six foot wooden fence. The STP also includes one (1) influent lift station (LS) that pumps influent up gradient to allow it to flow into the STP. The STP currently serves between 300 and 500 residences and has a reported maximum capacity of 150,000 gallons per day (gpd). The subject property is listed in the SPILLS database for one (1) reported sewage spill. The spill was the result of equipment failure. The SPILLS listing is reported as “Closed” and does not require additional actions. This listing does not constitute a recognized environmental condition (REC). One off-site property was identified within the environmental agency database reports, however MCE believes this off-site property has a low potential to impact the subject property. The STP was cited for numerous permitting, reporting, monitoring, and management violations dating back to 1992. The un-permitted discharge of residential wastewater or discharge of wastewater not in compliance with LPDES limitations at this property does not constitute a REC and is considered a business environmental risk (BER).